Many fanzines, pay or free, have sort of fizzled out. But & Magazine started up a few years ago and is still going strong with issue #10 now for download for free at the & website. 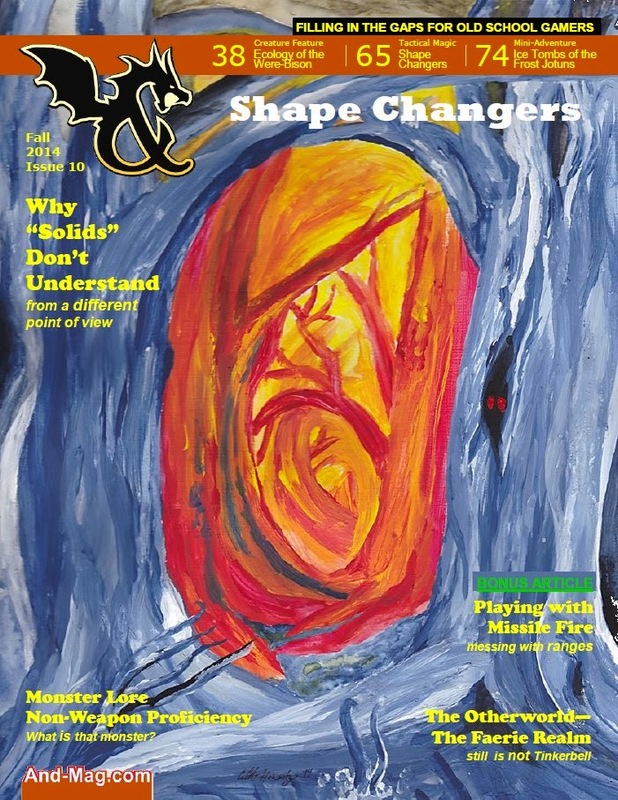 As you can see from the cover, this issue is (they are usually theme) dedicated to Shapechangers and runs about 100 pages.